You send emails to your customers for various purposes. Some emails are important, others may not be. But how do you know if your customers read your emails? There are several techniques to check whether your customers open your emails or not, but none of them is perfectly sure. The best thing to do is to make your emails so perfect that your customers could not resist reading them. For the purpose of this article, we will leave out the marketing aspect and the content of your emails (having a good subject line, avoiding specific words considered as spam, etc.) and focus on the email itself. Nowadays, people use their portable devices such as smartphones and tablets not only for leisure but also for checking their emails. In the first quarter of 2013, Yahoo! announces over 300 million monthly mobile users! Have you made sure your emails are adapted to this type of device? Traditionally, a desktop computer and a laptop have screens of 1000 to 1200 pixels large. 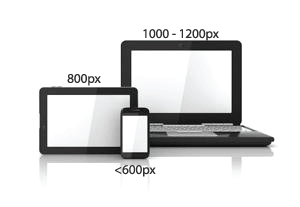 For tablets, we usually talk about 800px large and below 600px when it comes to smartphones. For you to build efficient emails, you will need to understand and consider this reality. When constructing an email, you must keep two elements in mind: first, you need to find a way to make sure your email will reach its target without getting caught by spam filters. Then, you must convince your reader to open the mail. If you achieved that, you did half of the work already. But this isn't enough. Now that your mail has reached the box and the reader has opened it, how can you be sure that he will be able - or keen - to read it? As we have seen earlier, an average smartphone has a resolution of 600px or less. Consequently, it would be smart of you to make sure your emails are never larger than 600 pixels. That way, your customer will be able to open and view your email in the best possible conditions regardless if he opens it on a computer or a mobile device such as a smartphone or a tablet. If you look at my newsletter (you can subscribe to it on the right panel), you will notice that my content is no larger than 600px. Also, if you have some technical background, you might have noticed that emails are not like webpages: the use of HTML in emails can be very hazardous. Some email providers might read it the way you want while others will simply skip the HTML part and display your content in a totally random way. To avoid this type of problem, you should build your emails in a completely different way. All the things you have learnt for website savvy do not apply for emails. First thing, you must use tables. If W3C advise avoiding tables on website to keep your code clean, it is the best method to use for emailing. Tables are the only way for you to organize your content in a way that can be read by most email providers. Then, you can forget all you learnt about SEO. SEO (Search Engine Optimization) is a way to enhance your content in a way that encourages search engines to index it. When it comes to emails, you have no content to index: all content remains private and therefore you have no reason trying to make your code SEO-friendly. Another general point to respect when it comes to writing efficient emails is to avoid making them "too long". Besides the fact that a lot of text can look boring to most readers, you also have the risk to have your content truncated by the email provider. Keep your content short and simple while inviting your readers to click on a link to find more information (on your website for example). Pictures are one of the main issues for emails. Pictures can make your emails more beautiful and attractive but they also make it heavier and are unreliable. There is no general rule concerning the maximum weight of an email. However, you can consider that a mail larger than 20M will never reach his recipient and a mail larger than 2M is most likely going to be ignored or deleted by your reader. Keep your emails light and your pictures small. 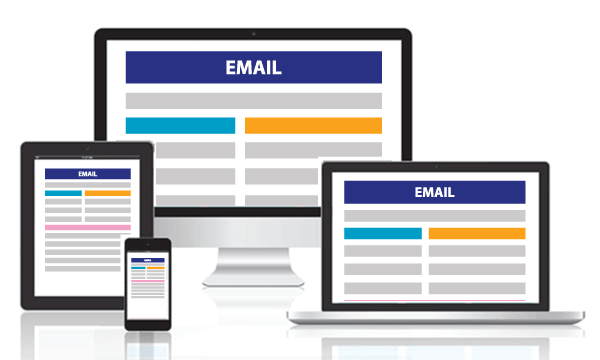 Besides increasing the chances of having your email reaching your reader, you will also make it faster to load. Another common problem with pictures is that most providers will block them to avoid running potentially dangerous scripts. Try limiting the number of pictures you use. Consider that your reader might not see those pictures: would they miss anything important in such case? This is also the reason why the "alt" tag should always be properly filled for all your pictures. If the image isn't loaded, the content of the "alt" tag will be loaded instead: make it clear so that the reader does not miss any important piece of information. Moreover, if you are yourself a user of mobile devices you surely have noticed a major difference in the way you are browsing information. With a traditional computer, you use a mouse. This means that you can move the cursor over certain elements that will then change, indicating a possible click action. 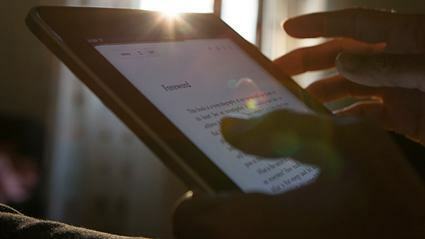 Using a tablet or a smartphone, you do not have this possibility. Therefore, it is important that your content is clear enough for people to guess where they can click (clearly identify links using buttons or text). 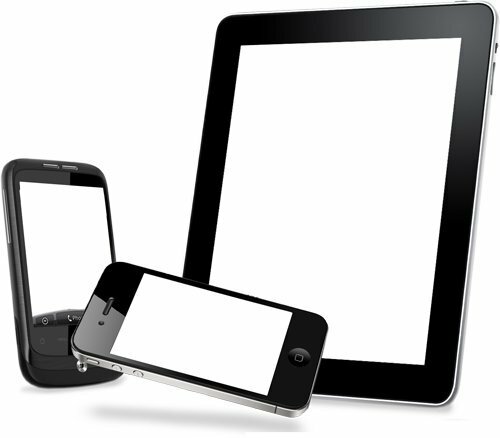 It is very difficult to know what type of device your customers are using to read your emails. You might be able to find out by using surveys or by using some scripts in your emails. But the usage of survey is time consuming and scripts in emails are unreliable and often lead to delivery problems. A better method is to check what your customers are using to visit your website: it might not be the same device they use for reading their emails but it will give you an idea of what type of machine they like to use. Google Analytics offers its user a nice tool called "Audience". If you have Google Analytics' script installed on your page, it will automatically record all kinds of information. This information is available in the analytics panel and gives you very interesting details about who are your visitors. If you stop for a second on the "Audience" panel, you will notice that it contains, among others, a section "Technology" and a section "Device". The "Technology" section mainly informs you about what type of browser / OS your visitors are using when browsing your site. The "Mobile" section informs you about the ratio of visitors coming on your site using a mobile device and provides you with details regarding the type of device used. Armed with such information, you are more able to understand what is your public using and how to make sure it receives your communication in the best possible way. To complete this article, I invite you to read "How to answer customers' emails": it shall give you some guidelines for dealing with your emailing efficiently.